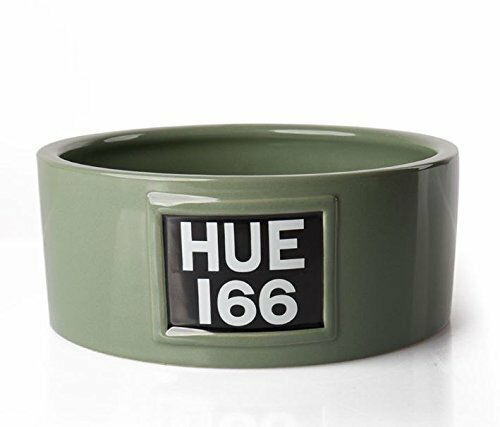 Land Rover New Genuine HUE 166 Green Ceramic Dog Bowl Let your dog join in with the Land Rover fun at feeding time with this Hue ceramic dog bowl, a great gift for any dog-owning car enthusiast. With a sleek and simple design, it will help to add something stylish and practical to your home.Designed and based on the original Series 1 Hue Land Rover that made the historic journey from London to Singapore, this green dog bowl features the classic registration plate and colour taken from this iconic vehicle.As a high quality dog accessory, it is designed to be heavy enough to help withstand the risk of your four legged friends knocking it over. This is a brand new part supplied in original Land Rover packaging.